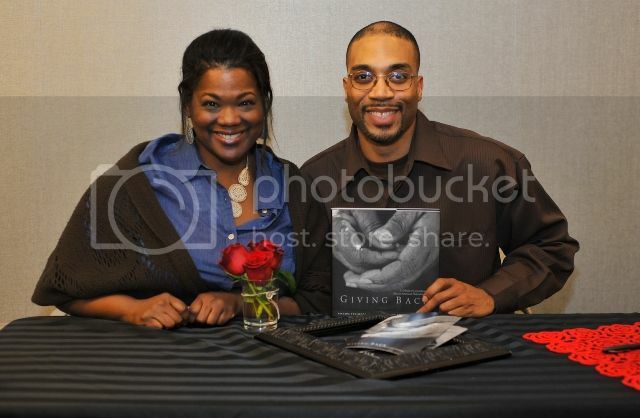 On Thursday, January 26, 2012, the National Center for Civil and Human Rights hosted a Giving Back reception and book signing for Author (as well as blackgivesback.com-Charlotte Contributor) Valaida Fullwood and Photographer Charles W. Thomas, Jr. 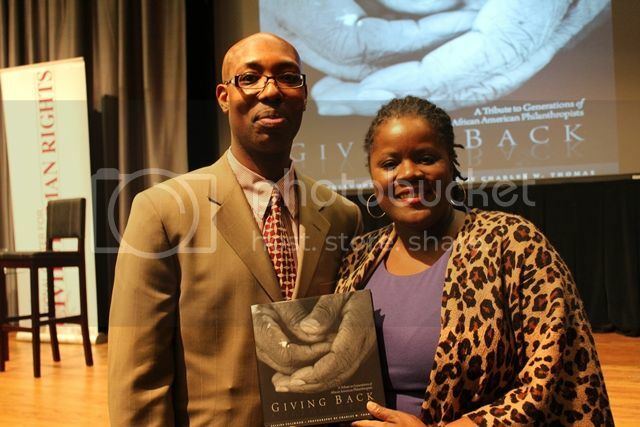 The two discussed and visually presented their book, Giving Back: A Tribute to Generations of African American Philanthropists, at the Georgia Pacific Auditorium to a receptive audience comprised largely of development professionals, grant-making institution/foundation leaders and philanthropically-focused individuals. 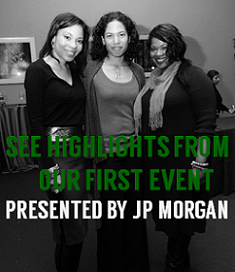 The event was co-hosted by the African American Development Officers Network, The Arthur M. Blank Foundation, The Community Foundation for Greater Atlanta, Georgia Tech Black Alumni Organization, National Coalition of 100 Black Women, Metropolitan Atlanta Chapter, Southeastern Network of African Americans in Philanthropy and the Southeastern Council of Foundations. “Perhaps like you, I used to hold a very narrow image of what ‘philanthropy’ is and what philanthropists do. 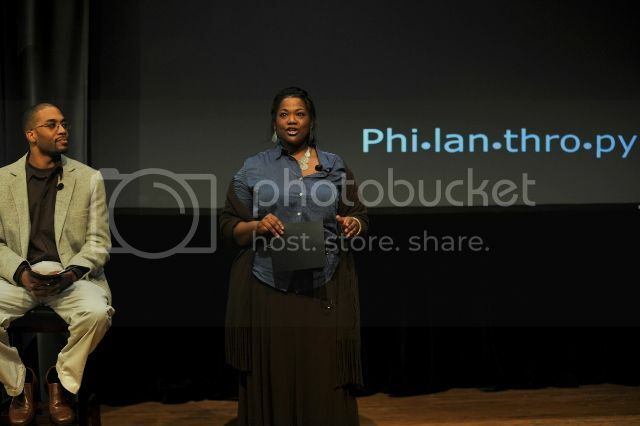 There was a time that I thought ‘philanthropy’ applied only to ‘Rockefeller’ or ‘Carnegie’ or ‘Bill Gates,’ or ‘Walton’ or maybe ‘Oprah.’ And that philanthropy centered on great wealth, financial assets, monetary gifts—perhaps a big check, lots of zeros, followed by a press release,” Fullwood shared in opening the discussion. 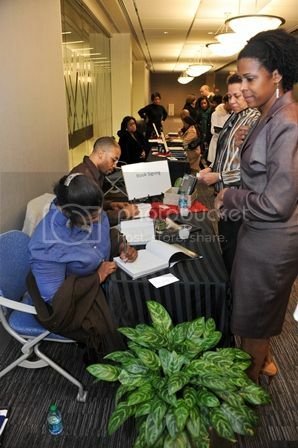 Author Valaida Fullwood speaks at the event. Over the course of their presentation, Fullwood and Thomas shared their four+-years-in-the-making stories of interactions with and observations from everyday philanthropists and members of giving circles—small groups of people harnessing their financial capital and social capital to bring about the change they wish to see in their communities. Valaida Fullwood and Charles W. Thomas, Jr. 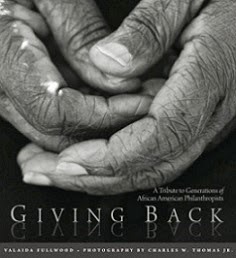 Giving Back: A Tribute to Generations of African American Philanthropists can be purchased through John F. Blair, Publisher, Amazon, Barnes and Noble and Indiebound.org. Follow on Twitter: @valaidaf and @sankofaphotog. 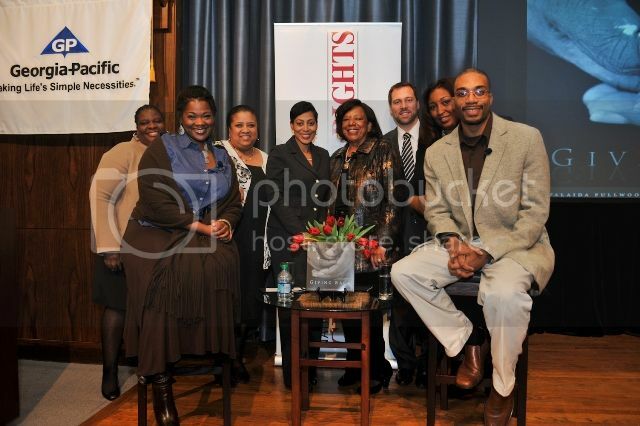 For more information on the work and vision of the National Center for Civil and Human Rights, click here. For ideas and questions about establishing a giving circle, like the Atlanta-based Circle of Joy, contact the Community Investment Network.